Prof. Shazia Kausar has Bachelor’s degree in Finance from Bangalore University and a Master’s degree in Human Resources from Visvesvaraya Technological University. 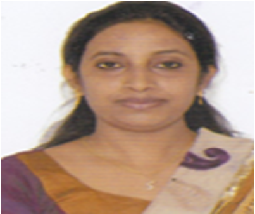 She has completed PGDM and is pursing Ph.D. in Management. She has ten years of teaching experience in various B schools. She has presented and published several papers. One of her papers ‘Challenges Faced by the Women Entrepreneurs’ has won the Best paper award. She has been with CMRU since 2018.